Nigerians #.1 Online News,Technology, Browsing Tips, Real Estate, Music Etc. 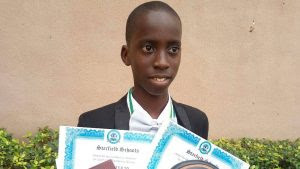 A very brilliant Nigerian boy has scored an incredible 9 A1s in his WASSCE and 332 in UTME but will not be admitted to university for a some reason. When David Okorogheye of Starfield College, Fagba, Iju, Lagos was preparing for the May/June 2018 West African Senior School Certificate Examination (WASSCE) and the Unified Tertiary Matriculation Examination (UTME), there were high hopes that by October he would be in the university. With the 2018 results of the May/June WASSCE and UTME out and his stellar performance, his classmates and school, parents as well as relations concluded he will secure automatic admission or be among the first on the merit list of the University of Lagos. They were wrong. Despite his sterling performance in both examinations, the Delta State born lad was denied admission on account of his age. He is 15 years old and a candidate must be 16 years before he/she can be offered admission into UNILAG and some other universities in the country. His classmates, teachers and family members have resigned to fate that in the 2018/2019 admission exercise, David will not participate due to age barrier. In fact, he was not part of applicants that wrote UNILAG post UTME test recently. www.emeuwa.com.ng and the rest of his sites was not only cteate to publish information but also to solve problems that has to do with adsense and blogging and other online issues. Hello every one i have important information that most of you will love to hear, My name is Engr. Ude Daniel Arunsi (Ejitex) CEO of this website and some other websites. The truth is that Google Adsense can not just start to show there relevant ads (Advertise) in your blog with your blog been check properly, your blog must be qualified for them to advertise with, before they can approve it. 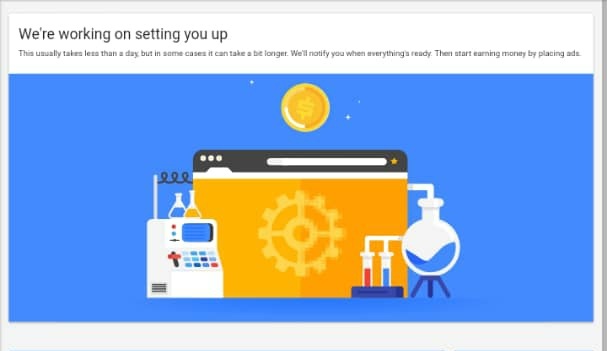 Adsense don't take more than two or three days to get fully approved if you properly implement the code well and well provide the necessary correct information to them. i) Your Adsense Account got disabled for invalid click and you want to write an Appeal, to get you adsense account activated. ii) Your Adsense Account got disapproved any time you submit your blog to run Ads all you get is one reason or the other why your application is disapproved. There are so many reasons which can deny your application from not been approved by Google Adsense, which ever reason contact Ejitex, we assure you, that your adsense application that is been deny from you by Adsense, will be approved by the same adsense that reject it when Ejitex handle it, because he will detect exactly the fault why they deny your adsense application and fixed the issue (s). Having any issue with your blog or with your adsense, I mean any issue contact Ejitex with his social media on this website,(Facebook, Twitter, instagram) or contact me with this email: infoejikelazrus@ejitex.com or by our contact form in this website or contact us in whatsapp with this number 07015230532 thanks. Today being August/11/2018 marks www.ejitex.com (News, Tech Portal) is 1 Year of existence today, our prayer is let this site continue to grow day by day, any evil plan to distroy this site shall be in vein in Jesus name Amen. No evil plan against Engr Ude Daniel Arunsi (EJITEX) shall prosper, all the effort of the enemy shall be in vein towards you in jesus name Amen. Let me use this opportunity to announce to the world or to all the people that visit this site that EJITEX POLO will be availble by December, You can order for your own, its free of charge. If you base in Abia or Lagos, you can come around to take your own, like i said, its free of charge, but if you bass outside Abia and Lagos, you can still order for your own, its still free of charge but you will pay who soever that will delivered it to you. The Zamfara State Police Command has deployed its personnel after suspected bandits invaded some villages in the state. Mr Kenneth Ebrimson, the Commissioner of Police in the state disclosed this to Channels Television on Thursday when he confirmed the attack. He said a police patrol team responded swiftly to the distress call of attacks on Sikida and Gyadde villages of Gidan Goga district in Maradun Local Government Area of the state. The police commissioner noted that the bandits fled after killing three persons, following the arrival of the security operatives. He said the team of security personnel deployed in the areas would comb the bush in the communities with the aim of arresting the perpetrators of the attacks. But eyewitnesses told Channels Television in an earlier interview on Wednesday that the bandits also invaded Farin Zare, Orawa, and Sabon Gari villages also in Gidan Goga district. They claimed the attacks were carried out simultaneously in the early hours of Tuesday, while many villagers were wounded in the process. The locals said the invaders stormed the villages on motorbikes, shooting sporadically at residents and carting away their livestock. One of the villagers said 30 people were killed across the villages during the attacks, although the police authorities insisted that three people died. Suspected armed bandits and cattle rustlers had killed at least 30 people when they invaded Malikawa village in the same district in May. The repeated attacks on the communities have left residents in perpetual fear and anxiety. The residents have called on the Federal Government to be more proactive in securing their lives and property, as well as stop the repeated killings as a result of the herdsmen-farmers clashes. The trial of five chieftains of the Peoples Democratic Party (PDP) resumed on Wednesday at the Magistrate II court in Dutse, the Jigawa State capital. The party leaders, including the Jigawa PDP Chairman, Mr Salisu Mamuda, are charged with four counts bordering on misconduct, financial recklessness, theft and criminal abuse of office. Others involved in the trial include a former Commissioner for Finance, Nasiru Roni; former Secretary of the Association of Local Governments of Nigeria (ALGON) in Jigawa, Abba Dagoro; as well as Shehu Chamo and Mukhtar Gonga who were former officials of ALGON during the administration of former Governor Sule Lamido. The trial which has lasted for more than one year has seen the PDP chieftains remanded in prison before they secured their bails. After suffering multiple adjournments, the trial resumed on Tuesday with the prosecution counsel presenting his fourth witness for cross-examination. The witness happened to be the Accountant of the Ministry for Local Government and was testifying against the defendants on evidence P12 – a payment voucher of N108,000,000 and cheque that were cashed from a commercial bank. Cross-examining the witness, the defence counsel argued that the witness did not prepare the payment voucher. He also argued that the payment voucher, which was carrying the name of the PDP chairman, has on it two different dates that did not correspond with the bank statements acquired by the police in the course of the investigation. In a related case which involved only Mamuda, the prosecution council presented a witness to testify against the defendant, which also was a payment voucher with the name of the PDP chairman to receive the sum of N69,750,000 as at then. This time, the witness is a police inspector in charge of the investigation. During cross-examination, the defence counsel stated that the prosecution counsel failed to present the cheques with which the monies were withdrawn, and the statements given by the bank to support the witness’ claim. The court consequently adjourned the case till the next day. The earlier case was also adjourned till September 11, as one of the defendants has an appointment with his doctor having collapsed during the earlier court proceedings. Reports reaching DAILY POST say an ex-militant leader, a native of Ogulagha Community in Burutu Local Government Area of Delta State, Gen. Boni Gawei is dead. Gawei died in an undisclosed hospital on Friday night after battling with a protracted ailment. His death is coming few months after his reported release from the detention of the Department of State Security, DSS. Until his death, Gawei was one of the warlords who prosecuted the lingering crisis on the side of Ogbe-Ijoh and Isaba communities against their Aladja counterpart in Warri South-West and Udu Local Government Areas of Delta State. When contacted, the Chairman of Ijaw Youth Council, IYC Ogbe-Ijoh chapter, Comrade Smart Okosun confirmed the report, saying,”It’s true Gen. Boni Gawei is dead. We in IYC Ogbe-Ijoh will miss him because he is a brother. Popular Nigerian musician Timaya recently gave himself some accolades. The proud father of three in an interview said even as a baby daddy he is better than many husbands. 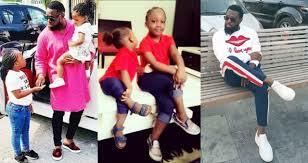 The singer narrated that single fathers tend to give more attention to their children than the married ones. He continued that beyond what many people actually think, baby daddies, as men, who father children without having married the mothers have proven to be better than those that had consummated their unions. He said; “People fail to understand that a lot of baby daddies are better fathers than a lot of husbands. The kind of role I play in my children’s life, I don’t think some husbands do that. I have time for my children, I love my children but some married men don’t even have time for their kids. They don’t show their kids love, they don’t know what it means to be a father. It doesn’t have anything to do with money; it’s about love and attention. Even my daughter sometimes wonders why I make babies if I was not ready to get married yet but I tell her that if I don’t make babies then she won’t be born. While revealing the real reason he mostly wears bathrobes these days, the Bayelsa State-born artiste, told Saturday Beats the idea is just a new way he found to express himself without holding anything back. The prime suspect in the killing of Khadijat Oluboyo, a daughter to the former deputy governor of Ondo state, Alao Adeyemi, has said that he killed her to become rich. 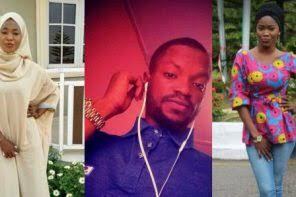 Adeyemi confessed to killing Khadijat with the sole purpose of becoming rich within a period of seven days. According to Vanguard, sources at the Nigeria Police said the suspect also known as QS dismembered Khadijat's body in order to bury her in a corner of his room. The suspect, a son of a bricklayer, Alhaji Alani Alao, who hails from Osun state buried the deceased in a grave he dug in his bedroom, and slept on the decomposing corpse for six days before he was found out. A source said Adeyemi during interrogation at the Criminal Investigation Department (CID) disclosed that he scrapped the hair of the deceased and also removed her private part which he had taken to his native doctor in Ondo town for money ritual before burying her in the grave. It was gathered that a night before her death, Khadijat and Adeyemi went to a restaurant for dinner and branched at a drinking joint before they retired to the lover boy’s New Oke-Aro extension residence. While he was joined by two others, who are at large to commit to heinous crime, Adeyemi continued to spray insecticide and perfume to subdue the odour from the decomposing body. He was arrested on the sixth day after the killing happened. A police source said if Khadijat's body had been allowed to continue decomposing in Adeyemi's house, he would have become stinking rich. The source said Adeyemi's quest to get rich quickly made him kill Khadijat after a native doctor in Ondo town reportedly informed him that the money ritual he was requesting for will require some human parts of a very close acquaintance. The advice by the native doctor led Adeyemi, a Yahoo Plus Club (internet fraudsters) member, to settle for his girlfriend as a victim of his ritual activities. Meanwhile, NAIJ.com previously reported that Adeyemi had denied killing the daughter of the former deputy governor of Ondo state. He claimed he was not directly involved in the killing of Khadijat. Adeyemi speaking while he was paraded by police said he only provided a digger for two accomplices which was used to dig the grave where Khadijat was buried in his room. As we know that browsing cheats are something very scarce this time around and not everybody loves to buy the data bundle. Opera news Free Airtime and Top up Africa referral programs are the means in which people are using to get free airtime these days which can be converted to data bundle. Good news guys, there’s yet another new app called "DENT - Send mobile data top-up" that gives you free data, not airtime this time around. DENT app gives you 150MB worth of data on any network (Mtn, Airtel, 9mobile, Zain, Glo, etc) by just installing the app and sign up. Actually, on first sign up, they will welcome you with 30 Dents, which you can withdraw as data worth 150MB. It’s a trusted app with over 100 thousand downloads as at the time of writing this article. The DENT App allows you to top-up someone else’s or your own phone, no matter where in the world you are. Also, it allows you to earn free data of any network using the app. The app is available for Android 5.0 KitKat, 6.0 Marshmallow, 7.0 Nougat, 8.0 Oreo and 9.0 latest version. iPhone users can also download the app, it requires iOS 11.0 or later. It works for users in Nigeria, Mexico, United States and Brazil. The developers promised to add more countries to the list before the end of the year 2018. You can redeem your Dents as data. You can buy Dents with PayPal or refer friends to earn more Dents. The more Dents you have, the more data you will redeem. Interesting right? >For Android and iPhone users, download DENT App From Here. >Once your registration is complete, you will be welcomed with 30 Dents worth 150MB on any network. >To redeem your DENTS as data, simply enter your phone number into the "Send Data To" box. >Finally, select the data amount you want to redeem. >That is all. Your line will be credited with the said data. Those who are already using the Dent Coin (Dent for short) will notice the sudden drastic increase in the price of data (about 10x) without increasing the value of the dents purchased, this is really bad because it made the already purchased Dents useless. Dent administrators need to calculate our old dent coin value and update it to the new value, in order not to lose users. How Can I Get 175 Dents Per Referral? Share this referral link to your friend, by joining dent, they get 175 Dent for free: Your gift 175 Dent for each new referral"
It's very easy, your referral link is there on the homepage. All you need to do is click on "INVITE NOW" and you will see the unique link which you can proceed to share with your friends on social media, forums, etc to get more dents. The more you invite, the more dents you earn. As we all know, clearing your teeth is a daily business to maintain a healthy hygiene. It is safe to say that virtually every home in the country owns more than one or two toothbrushes. While the use of toothbrush may be popular, there hasn’t been any extreme innovation in the toothbrush industry for the last century. The best improvement to the toothbrush industry is the creation of an electric toothbrush. A company by the name Bristl is trying to change this, by revolutionizing the way teeth are clean. With this said, meet the company’s latest product know as the Bristl light therapy electric toothbrush. The Bristl Light Therapy Electric Toothbrush works by using a combination of light therapy and sonic vibration to give your teeth a super sharp clean every time. Bristl may look like an ordinary electric toothbrush, but it’s loaded with technology. Unlike other electric toothbrushes that use vibration to clear your teeth, Bristl emits a certain frequency of light, to clean, heal and protect your teeth and gums. This emitted light comes in three colours which includes, Red, Blue, and purple. The red light helps to regenerate gum tissues and reduces inflammation in the gums. The blue light helps to whiten teeth and kill bacteria while the purple light is a combination of the red and blue lights. The purple light comes as the default settings on the Bristl toothbrush using a combination of light therapy and sonic vibration to clean and protect your teeth. Copyright © 2017/2018 Emeuwa. Powered by Blogger. DSTV EXTRAVIEW SETUP: WATCH DOUBLE, PAY SINGLE! Hello my name is Emeuwa Lazrus. I'm a Student, Engineer And a Blogger, to cut the story shot am self- employed, and am from Nkporo In Abia State.